Those fighting the 3D craze is fighting a losing battle. 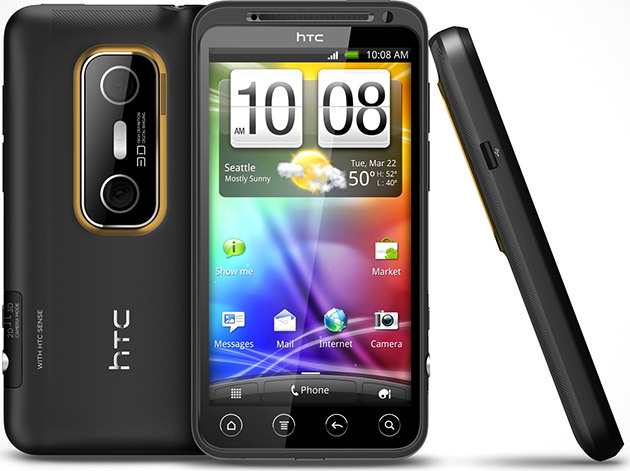 HTC embraced this fact and released the EVO 3D ($200). This gorgeous phone features a 4.3-inch 3D QHD screen that doesn't require glasses. Other welcomed features include a 1.2Ghz Qualcomm Snapdragon dual-core processor, 4GB of internal memory, 1GB RAM, dual 5 MP rear camera and 1.3 MP front-facing camera.